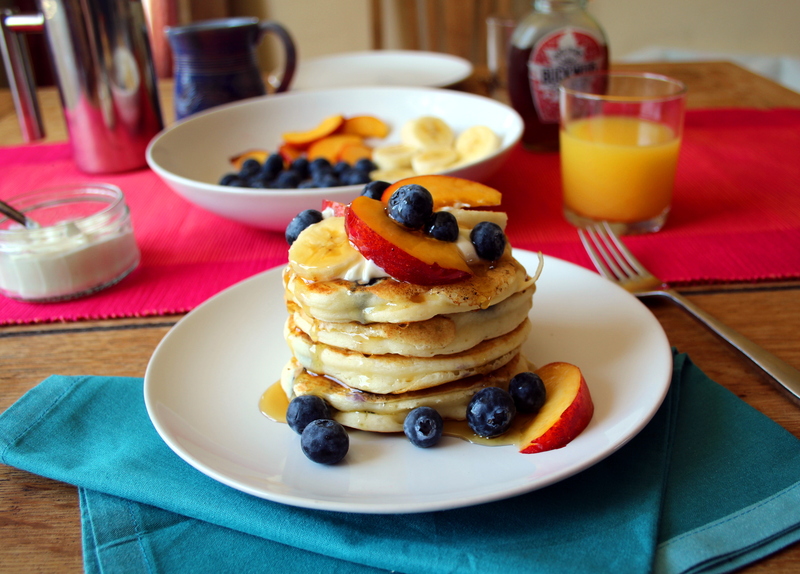 You may have noticed today is my first post in a few weeks (sad face), but now I’m getting right back on the blogging wagon with these yummy pancakes (yey!). 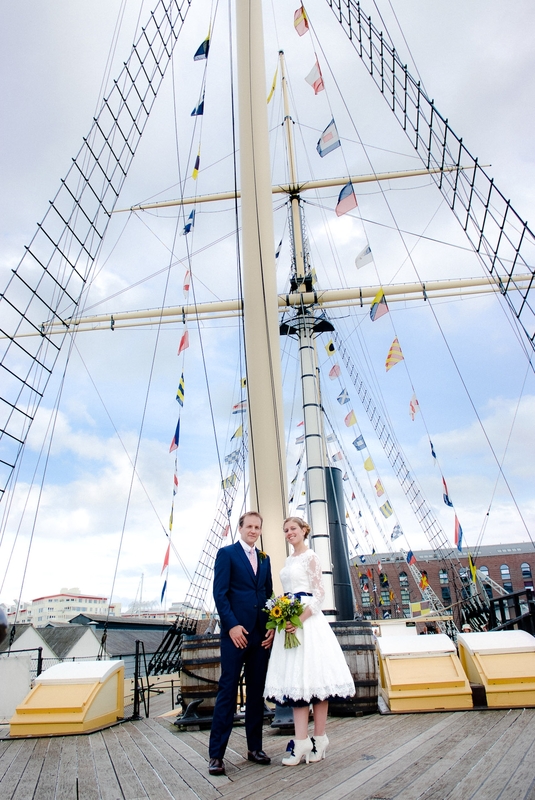 I haven’t been doing nothing whilst I’ve been away, I got married on the beautiful SS Great Britain. An amazing day filled with good friends, family, cider, cheese and nautical fun. We stayed in a beautiful hotel with a private terrace and our own hot tub. We went camping on Exmoor with loads of walks, tasty pub roast dinners and canoeing on a massive lake. These yummy pancakes are the perfect treat breakfast for the morning after the wedding night before. Put the flour, baking powder, egg and milk in a bowl and mix until smooth and lump free. Set aside a third of the blueberries and add the rest to the mix and stir in. Drop four heaped tablespoons of pancake batter (2 per pancake) into the frying pan. Cook for about 2-3 minutes on each side or until golden brown. Split the pancakes between two plates and top each with two tablespoons of crème fraiche. Split the fruit between the two plates and pour over some maple syrup. Pour over the maple syrup and enjoy!